In Doug’s last post, he talked about how lead nurturing is a critical part of the inbound marketing and sales development puzzle. Effective lead nurturing can bring your efforts together and produce significant results. A major component of most lead nurturing strategies is email marketing. How you construct your emails can have a significant impact on well they move your leads through their buyer’s journey. Here are some things to keep in mind as you build your next email nurturing program. Not all leads are the same. They shouldn’t all be nurtured the same way either. Segment your list as much as possible…by buyer persona, by industry, etc. Use behavioral data to segment the list further. Analyze how they respond to your email. Did they open it? Did they download your offer? Did they click through to your site? How much time did they spend there? Understanding their behavior will help you provide the right content at the right time. For example, the first email or two of your nurturing campaign may go to everyone who identified themselves as Persona #1 that downloaded XYZ premium content. Before sending out email #3, analyze how this list has responded and segment it further. The copy you write for your nurturing emails is probably the most important element of the campaign. Here are some best practices to keep in mind. Know your audience. For many things in inbound marketing, understanding your buyer personas is critical. Email nurturing campaigns is one of them. The more you know about your audience, the easier it will be to write copy that resonates with them. Know their pain points and use the language they use to describe their issues. Consider the buyer’s journey. When writing your messages, consider where your audience is in the journey. Construct messages that will be helpful to them at that stage. Marketing automation platforms, like HubSpot, allow you to automatically send messages gradually over time. It is important not to overload your recipients all at once especially if they are in the early stages of their process. Set the tone. A conversational tone will resonate better than a sales pitch. Your messages should be helpful and educational for your audience. Using buzzwords or too many superlatives may turn your audience away. One of the objectives of your campaign should be to build trust. Choose your tone with that in mind. Keep it simple. The last thing you want is for a prospect to open your email, be overwhelmed by the length and just close it. Keep your messages straightforward and simple. Bring value in the first couple of sentences. Personalize. According to DemandGen Report, leads who are nurtured with personalized content produce a 20% increase in sales opportunities. I think your sales team would agree that personalizing your email nurturing campaigns is well worth the effort. Some personalization techniques are as simple as using their name or their company name in the subject line. Marketing automation platforms allow you to create responsive content which takes personalization a step further. Based on criteria you set, one prospect may see a different web page than another when they click on your link. Or they may see a different call to action. Personalizing the signatures of your emails is also important. 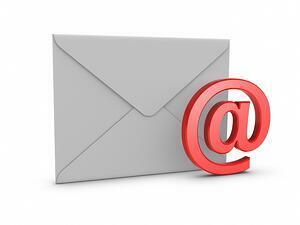 An email from a specific person rather than a generic address is more likely to be opened. When designing your email templates, there are some key things to consider. HTML or plain text. Before creating your template, you need to decide if you will use HTML or plain text. Both have advantages and disadvantages. HTML emails have better click-through rates, look better overall and provide the opportunity to include tracking codes. Plain text have higher deliverability rates, can be read universally and display properly. Select the format that works best for your audience. Color and branding. Use colors and other branding elements in your design to differentiate your message. Use bullets and short paragraphs. Make your message easy to scan by breaking the text into short paragraphs and using bulleted or numbered lists where applicable. Include a CTA. Include a call to action above the fold if possible. Make sure it stands out from the rest of the message. Use images. We’ve all heard the phrase…a picture is worth a thousand words. If you can incorporate visual elements into your design. Unsubscribe links. Make sure your unsubscribe links are easy to find. Include contact information. Remember to include a personal signature that includes contact information. Before you hit send, make sure you know how your email will look when it arrives in your prospects’ inboxes. Send the messages to yourself and colleagues. Adjust your template for any issues that arise. Additionally, every part of your email can be tested and analyzed. Try multiple subject lines, different CTAs, alternative text, colors, etc. As your campaign goes on, you can continually adjust just about every element of your message until you find the combination that brings the best results. Identifying the optimal time to send your messages can be tricky. It all goes back to knowing your buyer personas. By understanding how they approach each day, you may be able to identify the best time to communicate with them. In general, it is best not send emails first thing in the morning or last thing in the evening. One interesting note…at Imagine, we have recently started sending messages late in the day on Sundays. I have read many times not to send B2B messages on weekends or holidays. However, we are finding that we get more engagement sending on Sundays. Try it with your audience. Let us know what happens. Effective email lead nurturing can make a huge impact on sales and revenue. As you build your next campaign, make sure you review the key areas discussed here.